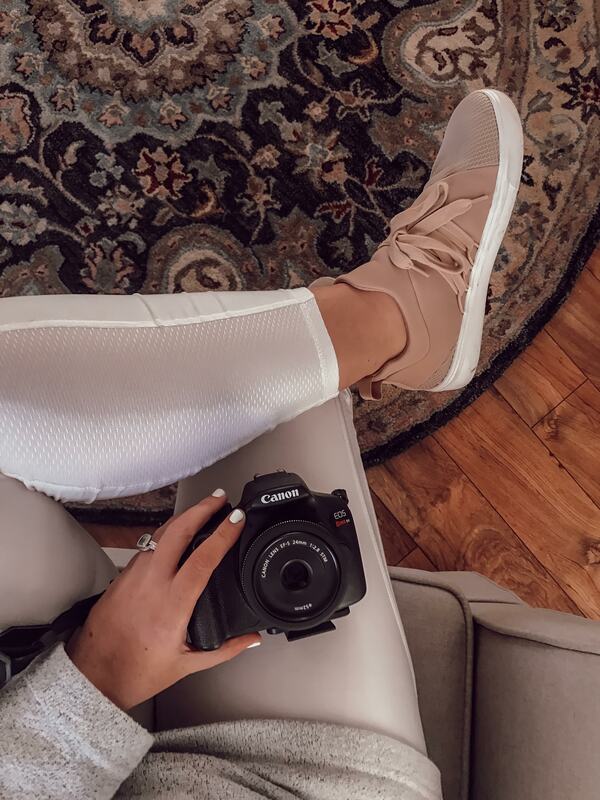 To shop my outfit and all my favorite photography supplies, click to visit me on LIKEtoKNOW.it! Hi hi hi. Welcome to two days out from my due date, when I officially barely have the energy to take a flatlay photo for the store! When I’m laid up in bed, getting rest like the doctor says, my body is screaming, “You can only rest so much! Get up and do something!” And then about ten minutes into doing something, my body is changing it’s tune. Sit down and get some damn rest! I don’t know what to do with myself. But sitting down and working from the computer makes me feel like at least SOMETHING is getting done. I get asked a lot about how I take photos for Instagram, so let’s get that mess tackled. Who handles the @beaufortproper Instagram account? Me! I take the product photos for the website, including the photos of clothing on models and those on plain white backdrops, like the jewelry photos. Then, I edit the photos, upload all the new arrivals to the website, and create any graphics that we need for blogs and social. How did you learn how to take pictures? I just want to be clear – I am not a professional photographer. But my first internships and full time jobs were both in a small agency setting. Being a social media manager meant that I had to wear a lot of hats, and our in-house photographer taught me a whole lot, especially about taking photos at events. The cameras we used for work were a lot more high end than what I’m using now, and that’s what I learned on. I don’t need all those bells and whistles to do what I do. And yet, when I bought my first DSLR, I had little to no idea what I was doing. This series from Blogging 4 Keeps helped me figure out which body and lens to get, and how to set them up. I use a Canon EOS Rebel T6, mostly because it’s a basic DSLR with WiFi compatibility. I can easily transfer the pictures straight to my phone and edit wherever I am. If I can’t do it on my phone, it’s probably not going to happen. Which is why I have ALL THE APPS that we need to run our business on my iPhone. Seriously! Our point of sale, website backend, photo editing, social, and everything in between run straight from my phone. 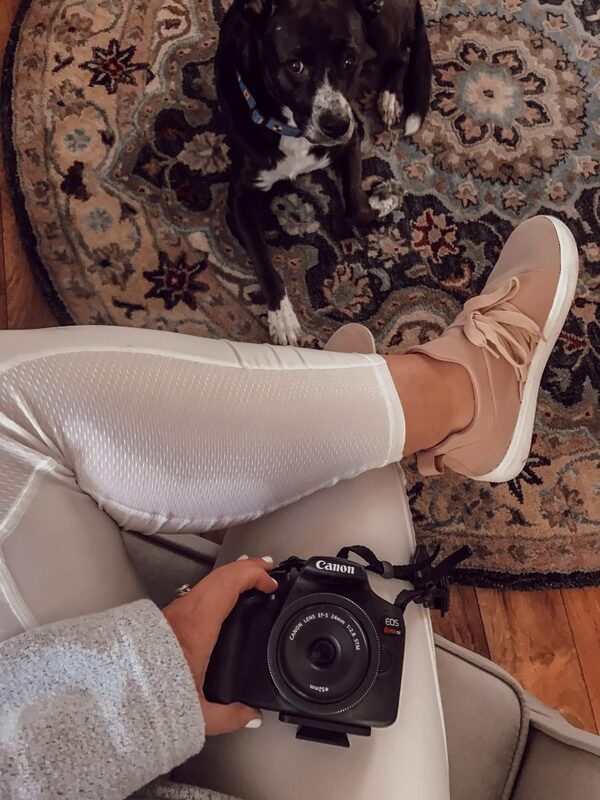 I’ve used quite a few different lenses, but now I can pretty much exclusively use my Canon EFS 24 mm lens, which is a wider lens perfect for getting pictures of an entire room, or getting an entire outfit without having to stand super far away from the subject. When I’m taking pictures of models, I usually just have my handheld. But I also got a tripod for practically nothing on Amazon that has changed the game. I used to take pictures with the tripod when I needed to get product images up in a flash for the store, but that bump life has put an end to me modeling our clothes for now. But it has tackled that awkward “I need to take pictures of myself for my personal account, but I am just one person and I don’t have a full time Instagram husband” problem. I pay for an Adobe membership because I use Photoshop and Lightroom for work. 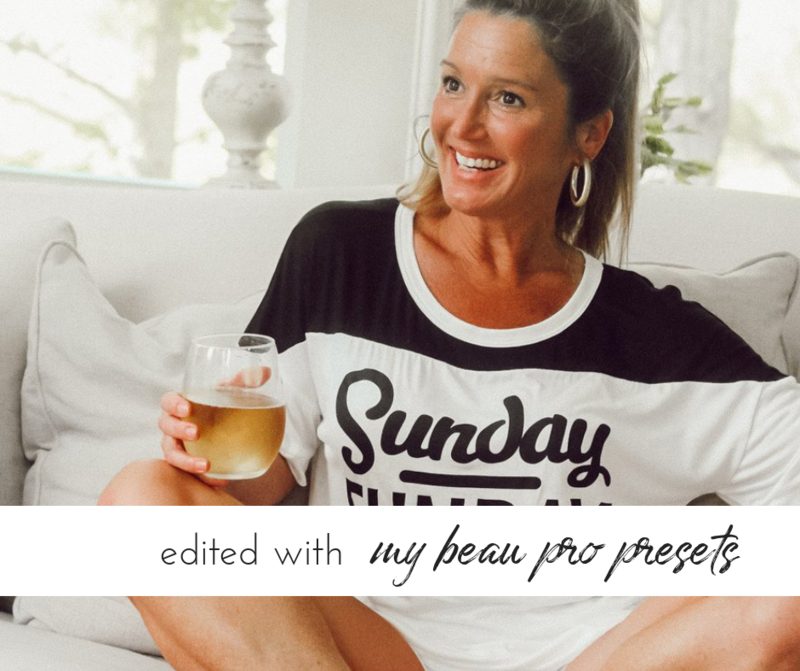 When I first got started, I used the Jaci Marie presets, but eventually I realized that they weren’t a perfect fit for all the things, and I didn’t want to keep buying a bunch of presets until I found what worked for me. 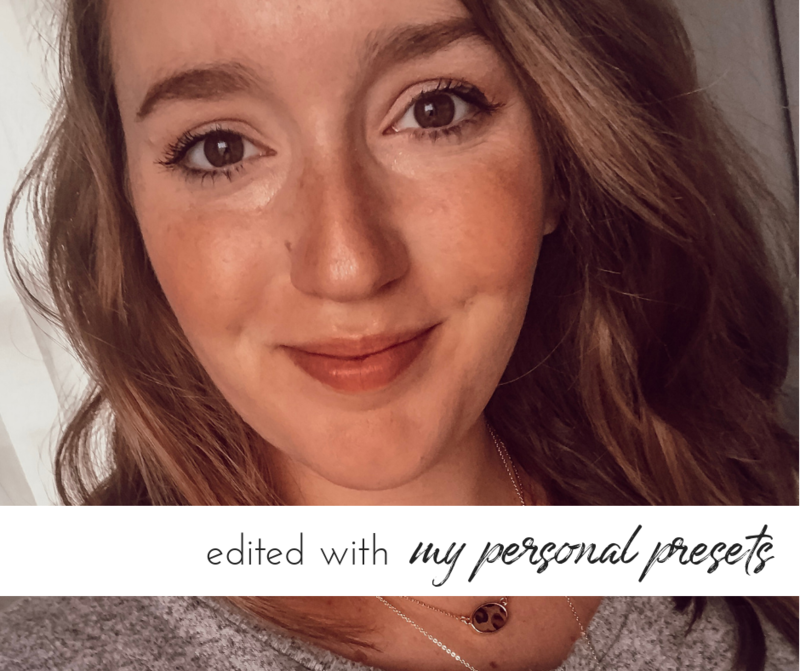 I started creating my own presets – some for my personal account, some for Beaufort Proper, and I also designed some for my freelance clients to fit their aesthetic. I don’t think Lightroom is for everyone. There are free versions that you can get on your phone, and you can purchase mobile presets to use on your phone as well! In fact, that’s how I got started with Jaci Marie, who I highly recommend. But the thing is, it’s not totally necessary. And if you’re intimidated my adjusting lighting and color levels, you shouldn’t spend your valuable time on it. Sometimes, I use VSCOcam and A Color Story to edit my photos and get the same effect. Lightroom is just necessary for bulk editing and working with photos that I shoot in RAW. 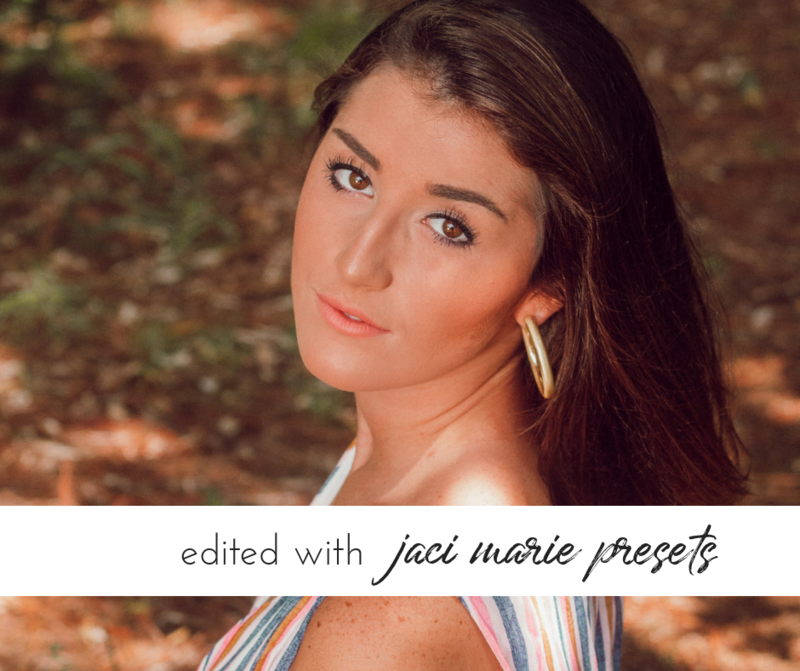 This one used Jaci Marie Faded, with the contrast upped a little bit! I hope this was helpful! If you’re just getting started, remember that it’s not like you’re charging someone for your services. It’s easy to get discouraged when you’re constantly telling yourself, “I’m not a professional photographer!” In reality, no one is asking you to be! But knowing your way around a camera might be important to you for a ton of reasons – so you can look back at your kids lives and remember every last detail, so you can be THAT friend who always takes good photos for people, or because you need the skills to run your business. Do you! 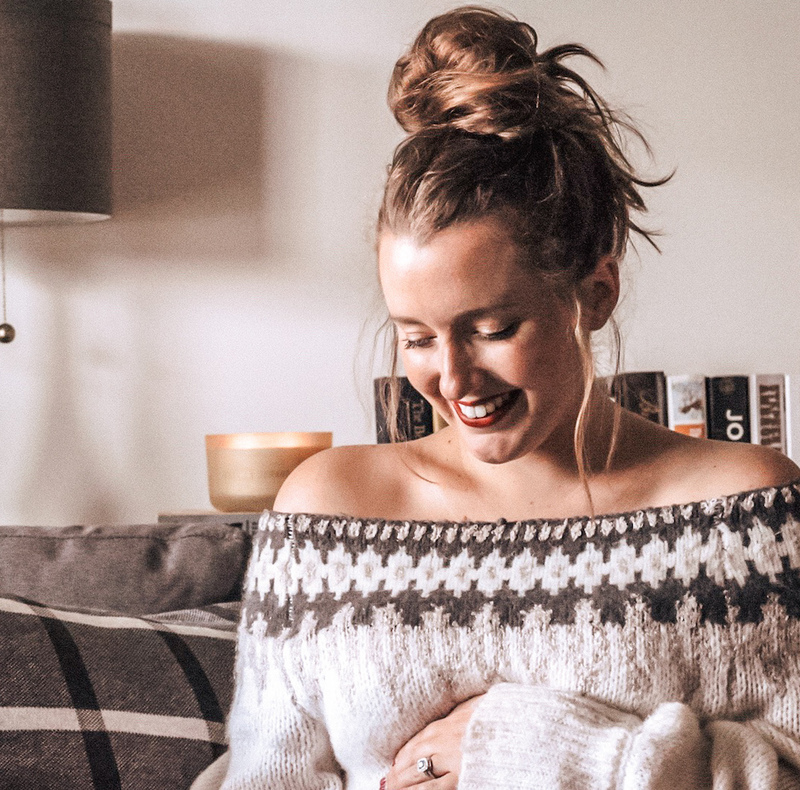 "Best Beauty Buys of 2018"